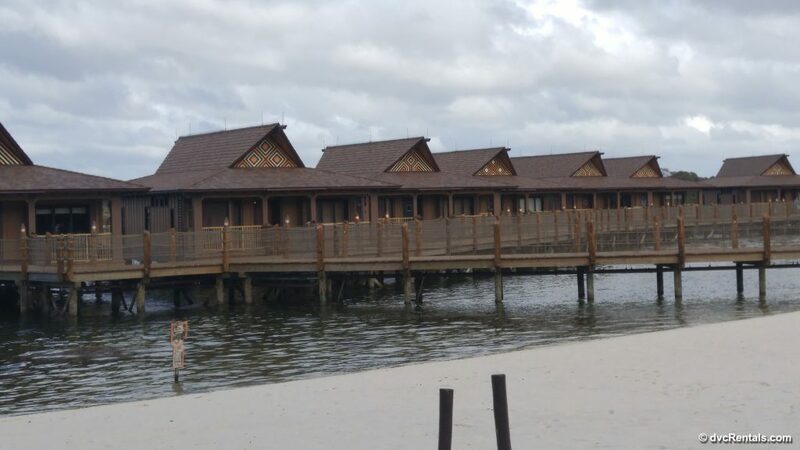 The next Disney Vacation Club property to discuss is Disney’s Polynesian Villas & Bungalows. There is so much to do here that I could probably write an entire blog on this resort alone! The Polynesian was one of the first resorts to open at Walt Disney World. 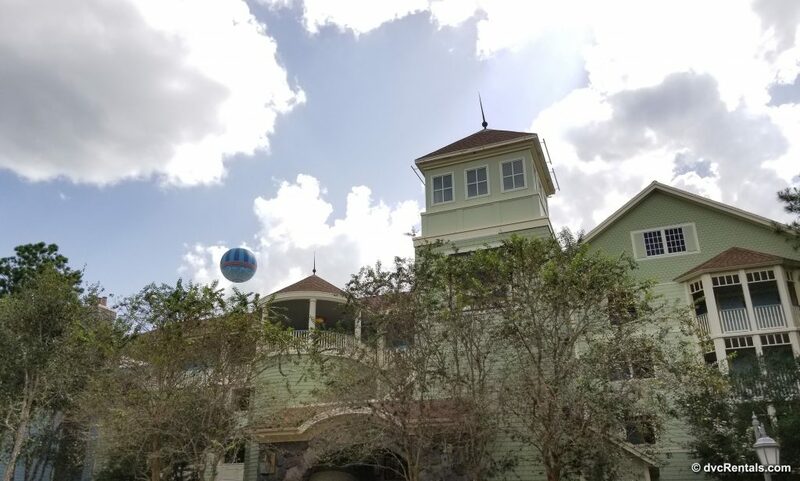 It’s gone through some changes over the years, including the conversion of existing buildings to Disney Vacation Club (DVC) rooms in April of 2015. 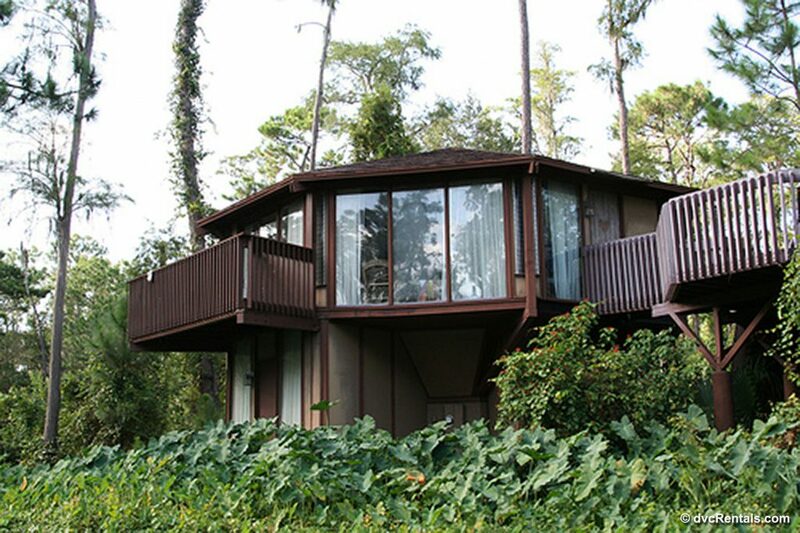 When DVC came to the Polynesian, they also had Bungalows built on the Seven Seas Lagoon that are DVC properties. This resort has a number of advantages. One of the biggest is being able to get the Resort monorail in front of the Polynesian to reach the Magic Kingdom, as well as being within a short walking distance to the Transportation and Ticket Center, where you can catch the monorail to Epcot! (If you don’t feel like walking, take the resort monorail 4 stops to the Transportation and Ticket Center to catch the Epcot monorail). There is also a boat launch to and from the Magic Kingdom to the Polynesian (shared by the Grand Floridian), and if you feel like taking the Ferry over to the Magic Kingdom, that’s easily accessed in the Transportation and Ticket Center. You will need to take a bus to Disney Springs, Animal Kingdom or Disney’s Hollywood Studios. 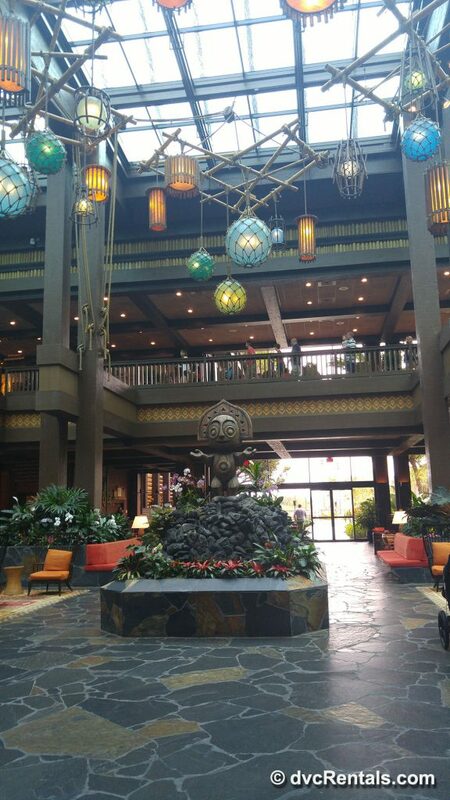 When you are at the Polynesian you truly feel like you have been transported to a land far away, even though in reality you’re right in the middle of a lot of action. The atmosphere is very relaxing. 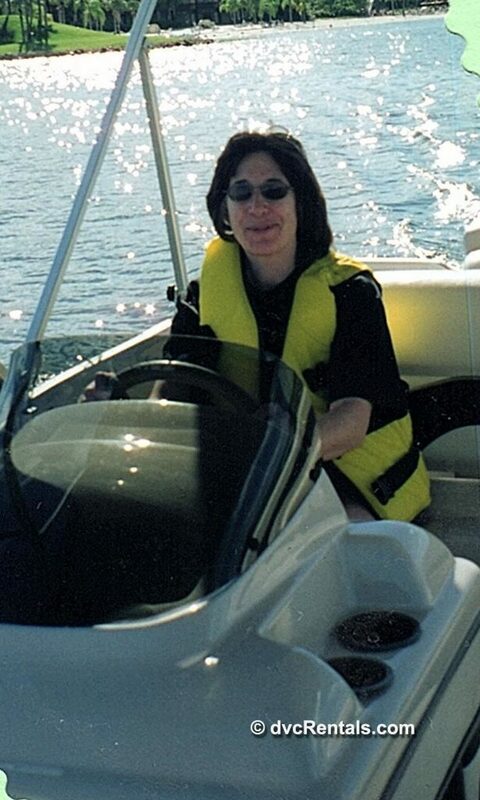 Since you’re on the lagoon, you can rent water crafts (the small individual sea raycers or the larger pontoon boats). If you have a lake view room, you’ll have a view looking out over the Seven Seas Lagoon. Guests can also see the Castle, Magic Kingdom fireworks and Electrical Water Pageant from the Polynesian beach. Other activities include fishing excursions (catch and release), nightly campfires, a jogging trail, volleyball, and nightly movies (free!) out on the lawn of the main building, the Great Ceremonial House. Speaking of buildings, the Polynesian has a number of “longhouses” spread out through the resort, all of which have names. The Disney Vacation Club rooms are housed in the Pago Pago, Tokelau, and Moorea longhouses and the Bora Bora Bungalows. One unique thing about this property is there are no 1 or 2 bedrooms or Grand Villas for DVC members. There are studios and Bungalows only. Pago Pago and Tokelau are where you will find the standard view deluxe studios. Moorea has lake view studios as well as some standard views. 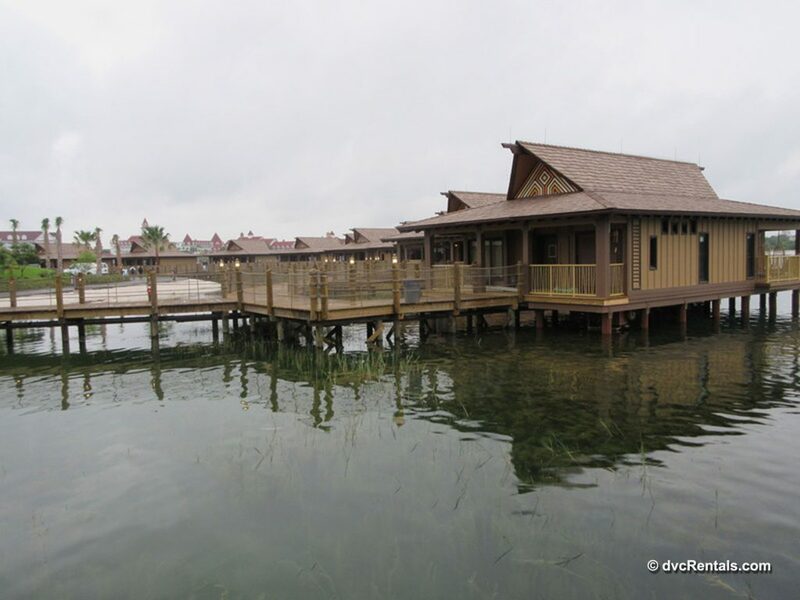 The Bora Bora Bungalows, which sleep 8, are located right on the Seven Seas Lagoon. These come complete with a private plunge pool, have great views of the castle/fireworks/electrical water pageant. They will set you back point-wise, depending on the time of year they are 115-227 points per night. There is a quick service restaurant called Capt. Cook’s toward the back of the Polynesian. 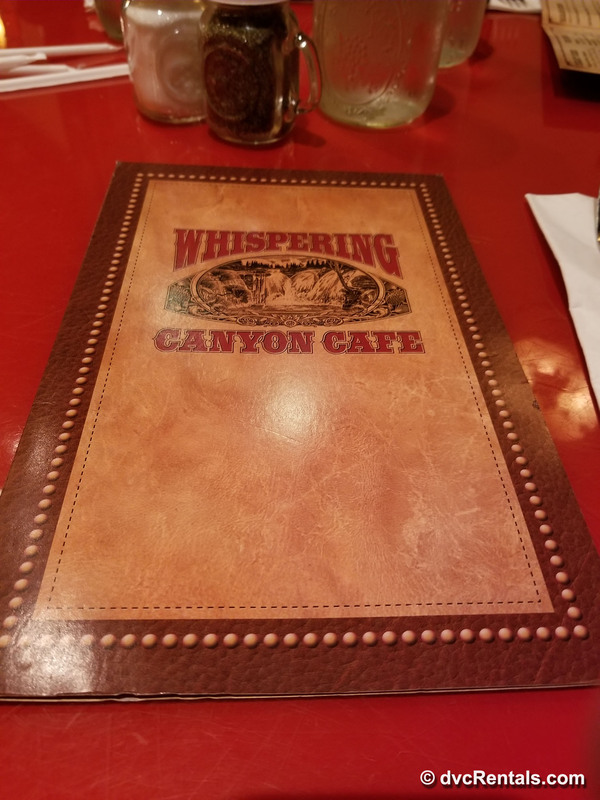 Here is where you can grab a quick bite and also where you will fill up refillable mugs if you have purchased them. Tip: One of the very popular breakfast items in the sit-down restaurant at the Polynesian, the Kona Café, is a delicious version of French Toast dubbed Tonga Toast. It’s sourdough bread, stuffed with bananas, dusted with cinnamon and deep fried. If you order this at the Kona Café as a sit-down meal, it will set you back $16. If you order Tonga Toast at Capt. Cook’s it’s $8.49. 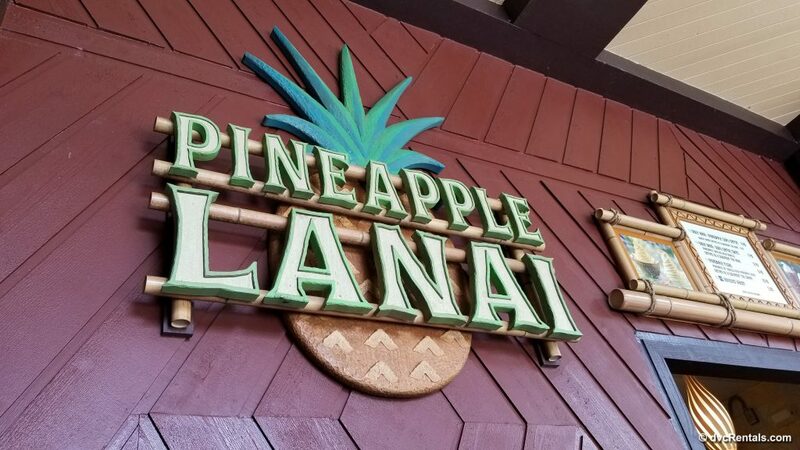 Another fast food option is the Pineapple Lanai, located outside in the back of the resort, which sells the ever popular Dole Whip in a number of varieties. Additional dining options are Kona Island (located next to the Kona Café) and the 2 poolside bars (one at each pool). If you’re looking for a delicious table service meal, both Kona Café and ‘Ohana are excellent. Kona Café serves various Polynesian style food, which everyone in your party orders individually from a menu. They serve Breakfast, Lunch, and Dinner, and generally, it’s not too difficult to get a reservation. The desserts are particularly awesome here, my favorite being a Kilauea torte, their version of a chocolate volcano. The other sit down restaurant ‘Ohana is very popular, due to both the fun atmosphere (games for the kids; everyone is referred to as a “cousin” as “’Ohana” means family) and the endless amount of food they will bring to your table, family style. If you are hoping to dine here make your reservation as far ahead as possible. For breakfast there is a character meal with Lilo and Stitch, they do not serve lunch. Dinner has fun and games but no characters. Additionally, at the Polynesian, you can find the Spirit of Aloha dinner show, a popular luau (complete with hula dancers) that takes place outdoors on the property. There is a quiet pool as well as a larger feature pool at the resort (both with zero entry). The large pool, known as the “Lava Pool,” has a hot tub. There is no Spa specific to Polynesian guests, but you are within walking distance or one monorail stop away from Senses Spa at the Grand Floridian which is accessible to guests from both resorts. There are 4 places at the Polynesian to purchase adult beverages, two inside the Great Ceremonial house and one by each of the pools (both full-service restaurants also serve alcohol). As for shopping, you will find 2 very nice Disney merchandise locations at the resort. 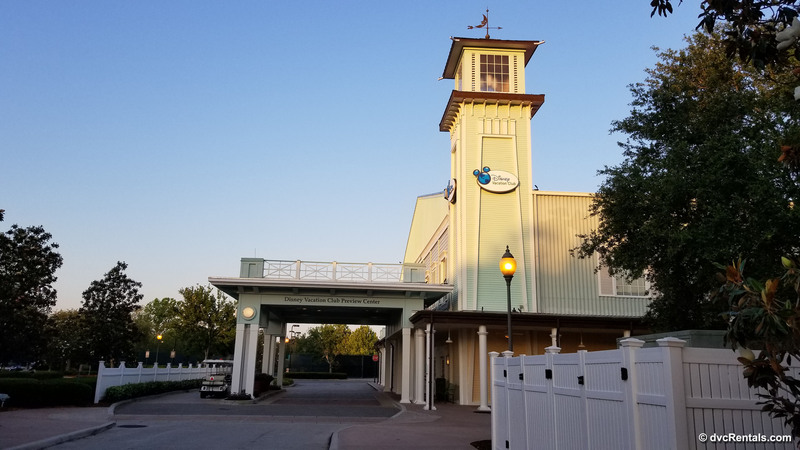 Moving on to Disney’s Saratoga Springs Resort & Spa, a property that is completely Disney Vacation Club, unlike some of the other DVC resorts which share their property with a “regular” Disney hotel. 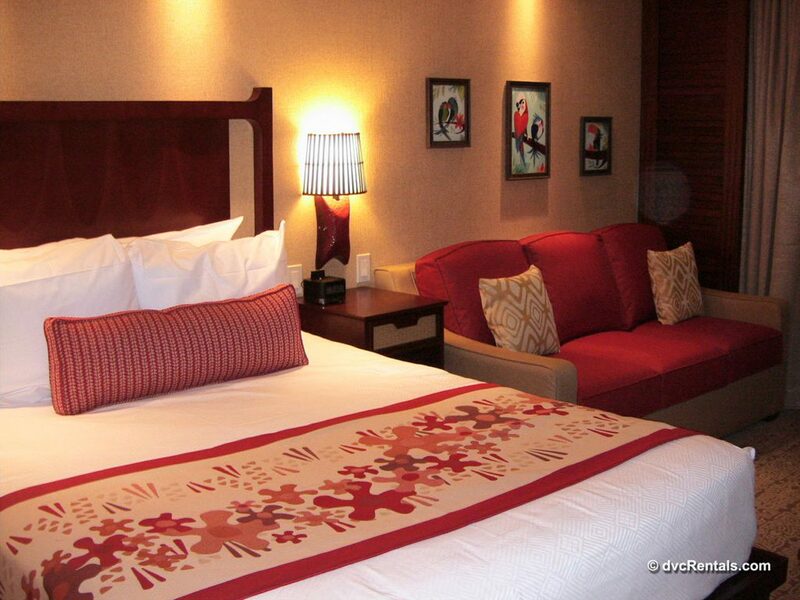 This resort is often easiest to book because it has the most rooms of any DVC resort. Like Old Key West, the property is spread out over a large area. The theming is based on horse racing, and you’ll see a number of shout-outs to horses/jockeys throughout the resort. In addition to studios, 1 and 2 bedroom villas as well as Grand Villas, Saratoga has something no other resort at Walt Disney World has—Treehouses! These are located in the woods and sleep up to nine guests. You will have your own parking space. If you bring a car, you can drive it right up to your treehouse! Each one has a deck and a charcoal grill for your enjoyment. For the most part, you’ll be taking buses from Saratoga Springs to get around Walt Disney World at no charge (there are Minnie vans and taxis for a fee). But if you want to go to Disney Springs, it’s a short walk, or you can grab a water taxi to take you over if you prefer. If you like shopping, this is the resort for you, as Disney Springs expanded recently and there are literally dozens of places to shop. There are also a number of spots to eat/play/listen to music at Disney Springs, and plenty of nightlife. Saratoga Springs is divided into a number of sections; Congress Park and the Springs sections are closest to Disney Springs. (The Springs section is closest to the main building, where you check in and where you will find the main pool as well as most of the recreation options. The Artist’s Palette, a counter service restaurant, is located in the main building as well). The Turf Club is a full-service casual restaurant located on property. A bar can be found here, as well as by the pools in the Paddock, the Grandstand, and the Springs areas. The Paddock Grill (located by the Paddock poll) offers sandwiches and burgers, and the Backstretch Pool Bar also offers snacks and sandwiches. The Disney Vacation Club preview center is located here. This is where you can see and tour the latest DVC property rooms, tours are free, but reservations are strongly suggested. There is an arcade, as well as a number of barbecue and playground areas (mostly located near the quiet pools). By the main pool, High Rock Springs, you can rent regular bikes and surrey bikes, and you can find shuffleboard, basketball and tennis courts. If you are looking for a spa, look no further than Senses, located right at the resort. If you qualify inquire about annual pass or DVC discounts. Babysitters are available to come to your room for a fee, and there is a merchandise shop located in the main building. Now we come to the final DVC resort, Wilderness Lodge. This resort was originally a Deluxe stand-alone Disney resort, but in the year 2000 DVC added Boulder Ridge Villas to Wilderness Lodge (at the time they were originally called the Villas at Disney’s Wilderness Lodge). 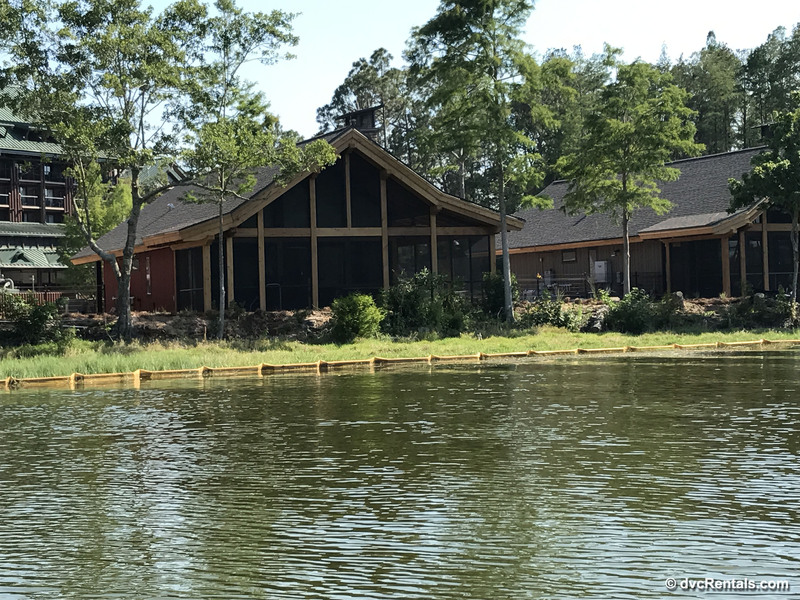 Just recently DVC expanded, and there is a new area at the lodge called Copper Creek Villas & Cabins at Disney’s Wilderness Lodge. Most of the rooms at Copper Creek are connected to the main building, with one exception. There are cabins on the water that are considered part of Copper Creek; they sleep up to 8 adults. These will set you back 87-195 points a night, depending on the time of year you are visiting. The cabins are really beautiful, with each one having its own screened in porch and fireplace, as well as many other amenities. To access Boulder Ridge you have to exit the main building and walk over to the Boulder Ridge building. As with other DVC resorts, both Copper Creek and Boulder Ridge also offer studios, 1 and 2 bedroom villas, (Grand Villas are available at Copper Creek, yet not offered at Boulder Ridge). 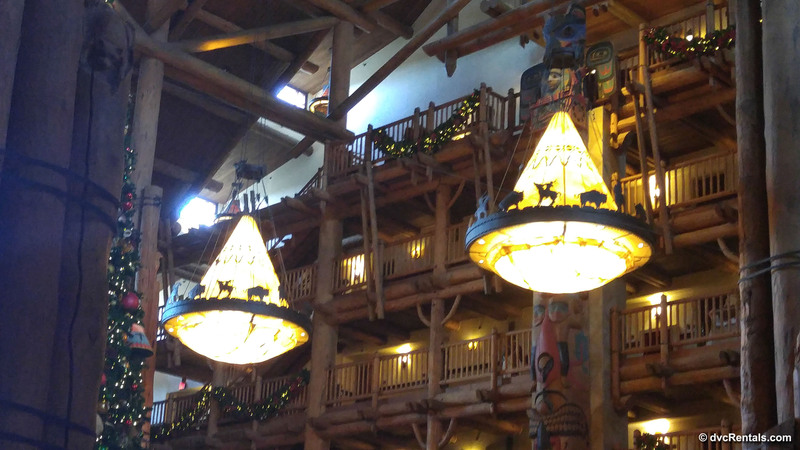 The resort is themed on national park lodges, but don’t let that give you the idea that the place is “rustic.” It’s beautifully laid out, and the huge lobby is very warm and inviting. During the winter holidays, there is a huge Christmas tree in the center of the lobby; it’s a very popular destination for guests from other resorts to view that tree. Another cool thing at Wilderness Lodge is the Train Room. Walt Disney loved trains, and they dedicated this room to Walt’s passion. 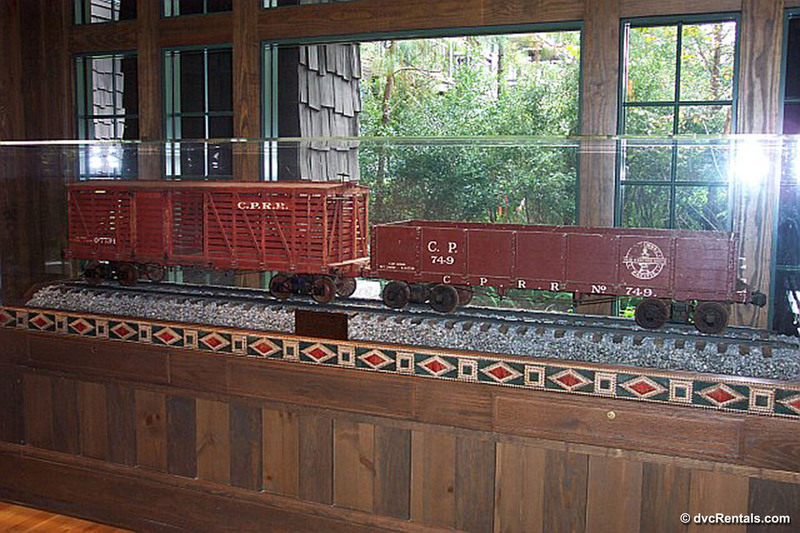 Called the Carolwood Pacific room, it contains train memorabilia as well as two entire railroad cars! 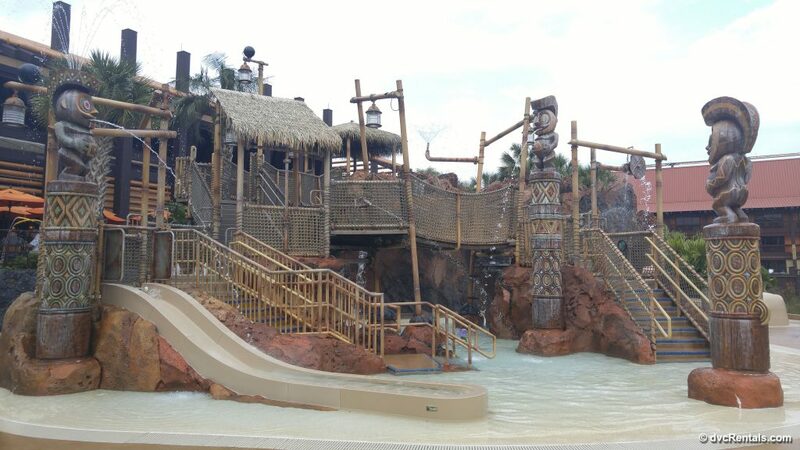 Wilderness Lodge has a great feature pool with a nice big slide as well as a leisure pool that is located closer to the Boulder Ridge Building. Next to the main pool is a manmade geyser, reminiscent of Old Faithful in Yellowstone National park. The geyser shoots water into the area periodically, it’s a very exciting sight to behold. Recreational activities include an arcade, bike and surrey rentals, a jogging path and boat rentals. Additionally, there are a number of specialty cruises that leave from the dock at Wilderness Lodge. Ask about DVC or Annual Pass discounts if you qualify for either. There is a merchandise shop in the main lobby. Each day a “Flag Family” is chosen to raise the flag on the roof of the lodge. If you would like to do this ask when you check in, but there are no guarantees your family will be chosen. Additionally, there are tours of the lodge, currently running at 9 AM on Wednesday through Saturday. 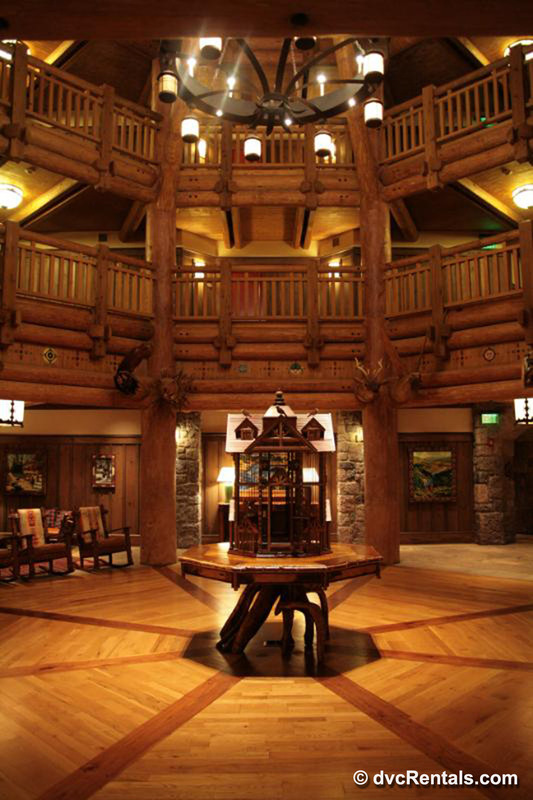 You’re told about the building of the lodge, artwork throughout, as well as the landscaping. There is no charge for this tour, and it’s a lot of fun in addition to being quite interesting. Although trees block the view of most of the Magic Kingdom fireworks, you will be able to see the Electrical Water Pageant float by if you go down to the water area. The restaurant is known for being very lively and especially kid friendly. If you’re looking for a quieter meal there is Artist Point, a “signature dining” restaurant with views of Bay Lake from many tables. There is an outdoor area to dine near the Geyser. It is called Geyser Point Bar and Grill and serves adult beverages as well as a nice selection of food. While you dine you can enjoy a great view of the lake. If you’re looking for a bar/lounge, the Territory Lounge, inside the main building, will suit your needs. Traveling to any of the theme parks or Disney Springs is by bus, with one exception. You can take a boat from the rear of Wilderness Lodge to the Magic Kingdom. By the way, the lodge is very close to the Magic Kingdom, the bus ride is less than ten minutes, and the boat is about 15 minutes away. Tip: If you are interested in visiting Fort Wilderness, either for a meal or just to walk around (especially cool to view the decorations guests put on their campers during Halloween and Christmas), there is also a boat that will take you there from the rear of The Lodge. We have come to the end of our journey. 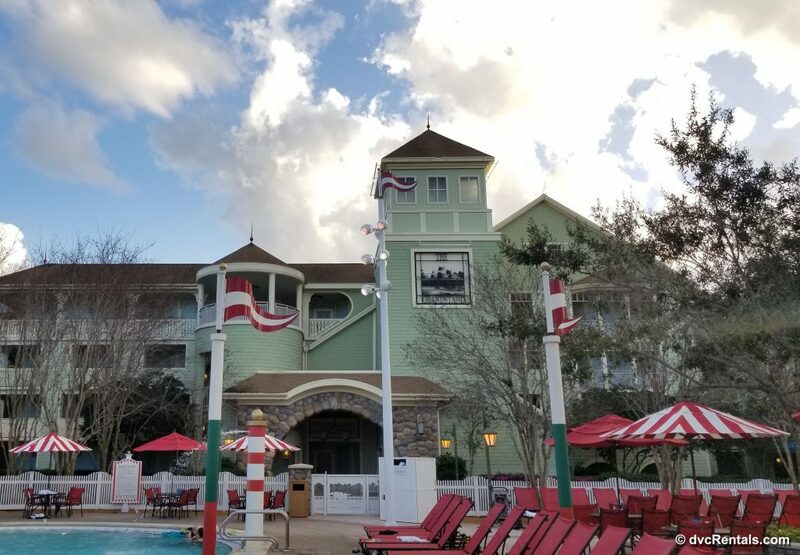 I hope that the information in the last few blogs will help you to decide which resort(s) you think your family will enjoy visiting (Choosing a Disney Vacation Club Resort to Visit, Part I, and Choosing a Disney Vacation Club Resort to Visit, Part II). 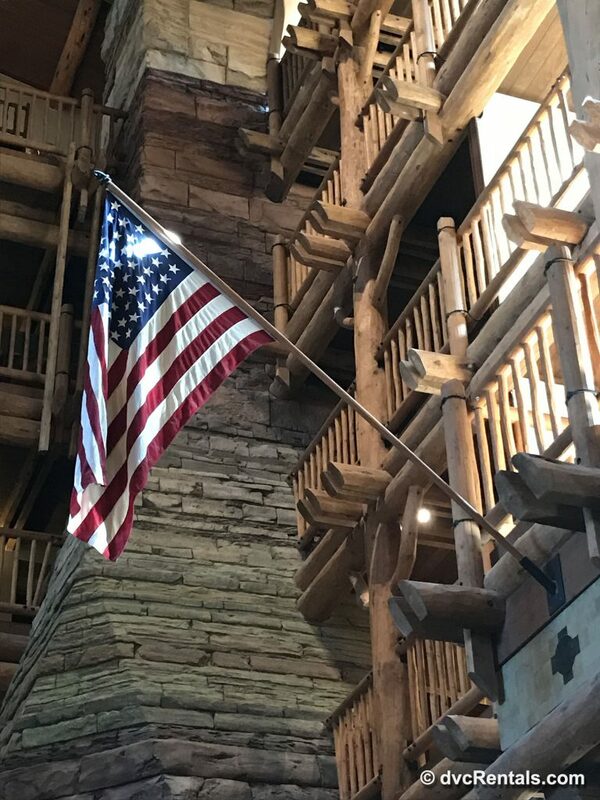 Although I tried to include as much as possible, there is so much to do at Disney resorts I was not able to include it all. There is no such thing as a “bad” DVC resort, but everyone has their own needs and wishes when choosing where to vacation. You might fall in love with one resort and never want to stay elsewhere. You might decide to try them all. Or you may decide where you want to stay depending on the time of year and what the resort is closest to (for example many like to stay at Beach Club or Boardwalk during Food and Wine and/or Flower and Garden time). This may be obvious, but don’t forget that if you’re at one of the monorail resorts (Bay Lake Tower, Polynesian or Grand Floridian) that you can access any of those resorts just by hopping on the monorail. Remember, no matter where you stay you can count on Disney’s excellent theming and service to ensure your vacation is memorable. Have a great trip!